Derailleur hanger Pinarello bikes . Here are listed all the models dedicated to Pinarello , should not be present if the dropout for your bike , please contact us , we will strive to find the one that works . Pinarello Cross 2009 aluminum derailleur hanger 6061 T651, made with CNC technology. Black anodized. Lighter and more durable than the hanger series. Derailleur hanger Pinarello CX 2009 Aluminium 5086 CNC machining Made in Italy. Holes are 18.0mm apart - center to center. 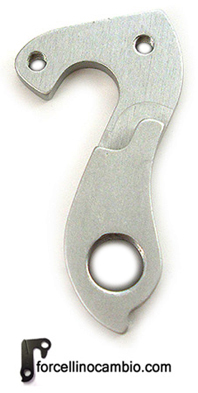 CX Aluminum 2009 aluminum derailleur hanger 6061 T651, made with CNC technology. Black anodized. Lighter and more durable than the hanger series. Derailleur hanger Pinarello Dogma 2010 Aluminium 5086 CNC machining Made in Italy. Holes are 18.0mm apart - center to center. Derailleur hanger Pinarello Dogma 65.1 2013 Aluminium 5086 CNC machining Made in Italy. Derailleur hanger Pinarello Dogma K 2013 Aluminium 5086 CNC machining Made in Italy. Holes are 18.0mm apart - center to center. 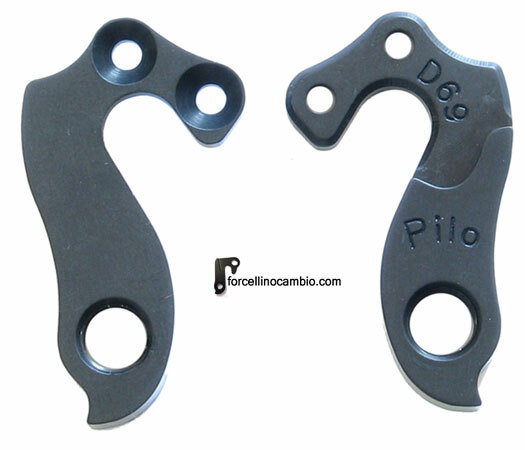 Pinarello F3:13 aluminum derailleur hanger 6061 T651, made with CNC technology. Black anodized. Lighter and more durable than the hanger series. 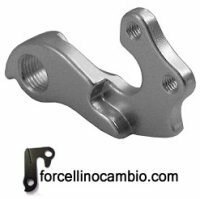 Pinarello F4:13 aluminum derailleur hanger 6061 T651, made with CNC technology. Black anodized. Lighter and more durable than the hanger series.